where he graduated with honors. After graduating medical school, he completed a General Surgery residency at the Wayne State University/ Detroit Medical Center. There, he received the Goldman Humanism Honor Society award for his commitment to medical education and the compassion demonstrated towards his patients. Dr. Curtis also received the Surgical Leadership Award in recognition of exemplary work ethics. He remained at WSU/DMC, and subsequently did a minimally invasive and bariatric surgery fellowship. He went on to enjoy a very robust general and bariatric surgical practice at Great Plains Health in Nebraska, where he served as Vice Chair of the surgical committee. Dr. Curtis was also instrumental in setting up a center of excellence bariatric program for which he served as Bariatric Medical Director. 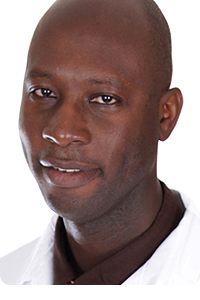 Dr. Curtis comes to our practice with over ten years of experience in laparoscopic bariatric and general surgical procedures. He is Board-certified in general surgery, a fellow of the American College of Surgeons, and a Fellow of the American Society of metabolic and bariatric surgeons. Dr. Curtis believes in treating patients with the same care and respect he wants for his family. He also believes in being attentive to patient's individual needs and helping to coach them to achieve their desired health goals. Playing volleyball, listening to audio books and spending time with his family, are ways Dr. Curtis maintains his holistic health.